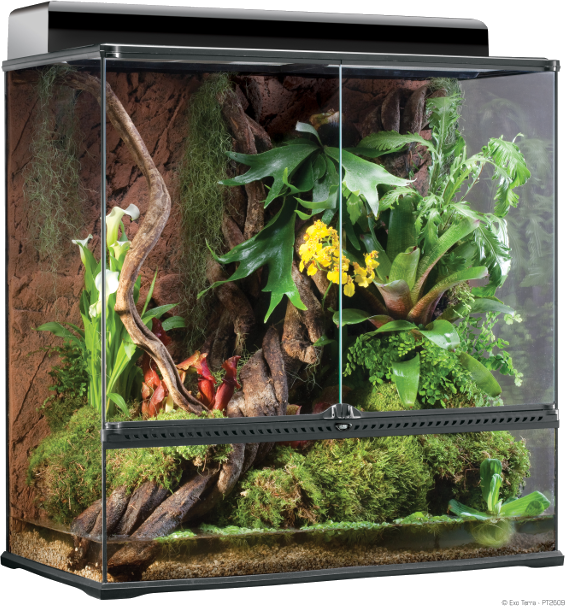 The base of paludarium is an ExoTerra sized of 90*45*90. We will design and build the interior in order to recreate an aquatic area and a land area (mainly arboreal). Etape 13 : Bientôt 2 ans !